Beautiful setting on 2 gentle acres. Private with natural light and views of mountains, trees and plenty of wildlife. Wonderful outdoor spaces with decks and walk out basement. 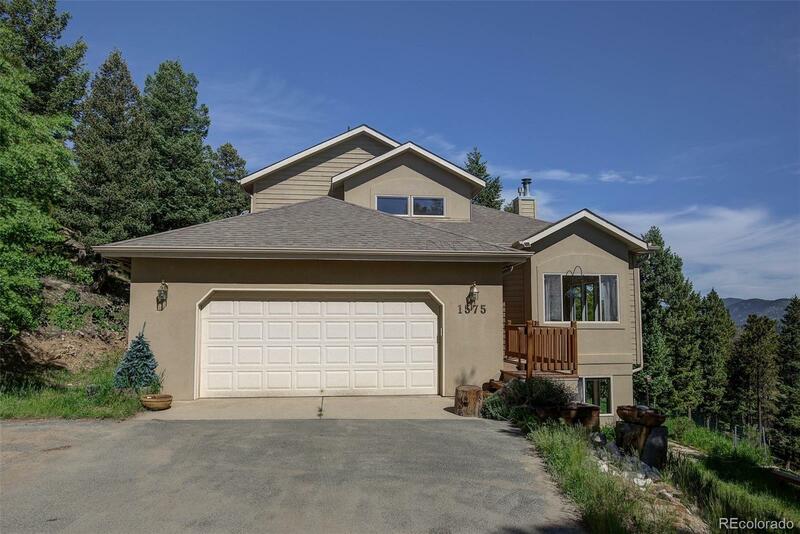 Fantastic living spaces include large living room with vaulted ceilings, fireplace and wonderful windows to bring in the light and enjoy the sweeping mountain views. Retreat-like master bedroom is on a floor of itâs own offering privacy and quiet comfort. The kitchen features newer (1 yr) appliances, corian counters and an island with cooktop in granite tile. Walk out basement features two bedrooms and a full bath. Also a living area with wood-burning fireplace.